This was my first observation once I started using the Roku 3. I’ve had a Roku in each of the previous generations, but this one outclasses all of them. Now that I’ve had a chance to set it up and start using it, I can give a good idea of what you should expect out of the Roku 3, and whether it is a good replacement for your current set-top box. 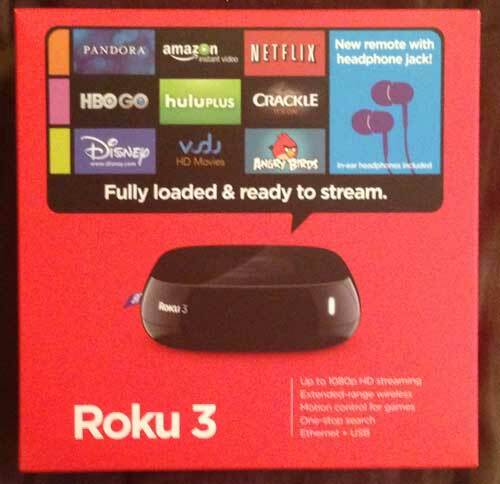 The Roku 3 comes in a bright compact box. You can see an image of it below. 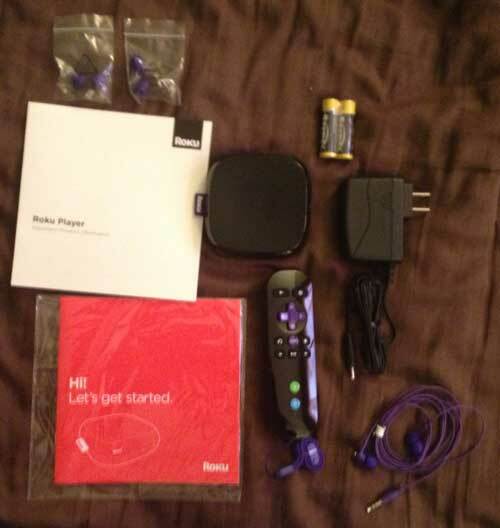 Once you open the box, you will see that there are a couple of manuals, the Roku 3 itself, a power cord, a remote control, batteries, headphones and replacement earbuds. You will need to purchase an HDMI cable separately, though. The Roku 3 is still pretty small, but the weight distribution has been improved so that it isn’t as prone to being pulled backward by the power cable or HDMI cable. 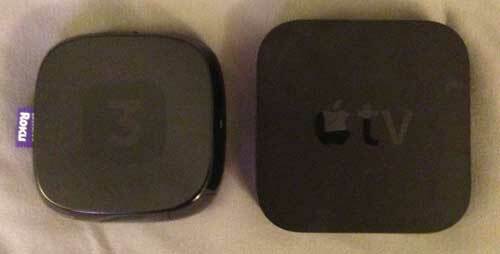 Here is an image of it compared to an Apple TV. The Roku 3 is pretty compact, though it does have a good number of ports. 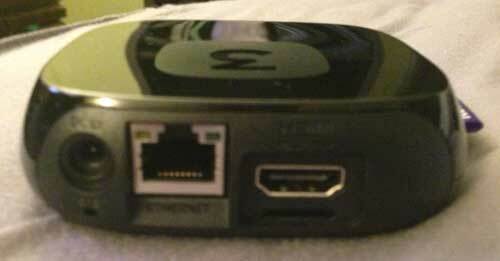 The back includes the power cable port, an HDMI port and an Ethernet port. Unlike some of the previous Roku models, you can connect the Roku 3 to a wired network. However, you will need to have an HDMI-capable TV to use the Roku 3. This will be a deal-breaker for some potential buyers but, if you really want a Roku, the Roku 2 XD is still a very solid device. There is also a USB cable on the side that you can use to connect an external hard drive or flash drive. You will need to download and install the free Roku USB Media channel to use it, however. I was able to connect a portable 1 TB external hard drive(no power cable. The Roku was able to power it) to mine and start playing MP4 video files with ease. I have yet to use it with any other type of file, but the menu is intuitive and the files start playing quickly. Usually a device’s remote isn’t something that most people will care too much about, but the Roku 3 remote is a little different. It has a headphone jack on it. 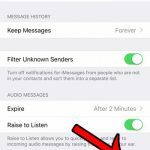 While this might seem like it isn’t very important, it introduces some useful functionality. When you connect a pair of headphones to the headphone jack, the TV will mute and the sound will start coming out of the headphones. Unplug the headphones and the audio returns to the TV speakers. What is the purpose of this, you might ask? 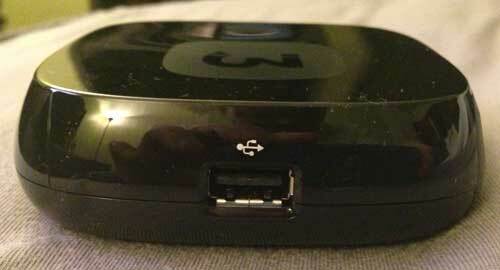 It allows you to watch content on your Roku 3 without disturbing someone else in the room. Whether you like to watch TV in bed while your partner prefers quiet, or if someone is reading or studying in the same room, you can still use the Roku 3 without disturbing them. The remote has changed a bit from previous versions, but is still relatively similar. 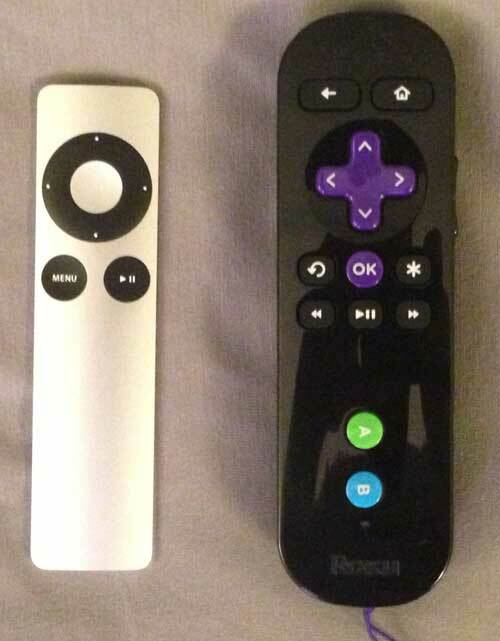 The image below shows a size comparison of the Roku 3 remote versus the Apple TV remote. Setup is a breeze. Connect the HDMI cable to the Roku 3 and the TV, then connect the power cable to the Roku 3 and plug it in. If you are going to be connecting to a wired network, you will need to connect that as well. Once you switch to the correct input channel on your TV, you will be guided through the setup process. It’s fairly standard, and will have you selecting a language, connecting to your network, and activating the device with your Roku account. 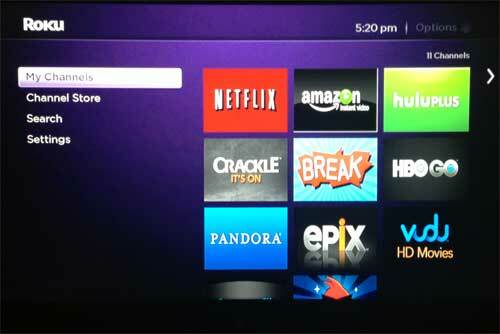 If you don’t already have a Roku account you will be able to set one up. The Roku 3 will need to download an update, then you are ready to go. 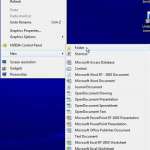 From start to finish the entire setup process is probably about 10 minutes if you have all of your network and account information handy. The menu has gotten a significant upgrade as well, though the new menu should be rolling out to some Roku 2 models in early summer 2013. The single horizontal row of channels is gone, and has been replaced with a tiled layout that increases the number of channels that are visible on the screen at once. There is also an amazing new search feature that I love. Simply start searching for a show or movie and the Roku 3 will come back with a list of your installed channels on which you can view that content. This will allow you to choose the best place to watch a certain show or movie, while also providing you with the ability to see which provider is offering the best price for something that you would need to rent or buy. It will also search for content on your subscription channels as well, so it isn’t simply a feature that is meant to make you spend more money. 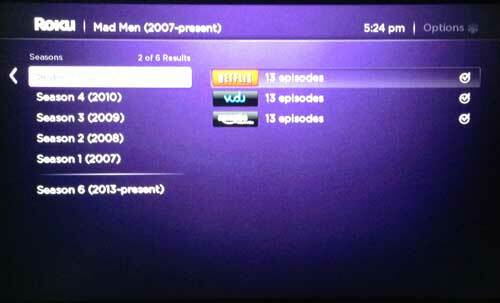 As you can see from the image above, a search for “Mad Men” came back with lists of the show’s seasons, as well as places where I can watch each of those seasons. Should I buy this if I already have something else? This is the biggest question that many of you will have, and the answer is “it depends.” What are your media sources? If you have subscriptions to Netflix, Hulu, HBO Go and Amazon Prime, then you could conceivably use an older Roku model or an Xbox 360. The Xbox uses more power, however, and requires you to use either a controller or Kinect voice commands. You will also need an Xbox Live gold subscription to use those services, which adds an additional yearly cost. If you only have Netflix and Hulu, then you can also consider the Apple TV. The Apple TV offers iTunes streaming and AirPlay (the Roku 3 does not have these options), which are extremely helpful features if you have purchased iTunes content, or if you have another Apple device like an iPhone, iPad or MacBook. You can learn more about AirPlay here. If you have a first-generation Roku device, then it is definitely worth upgrading, especially if you use the Roku a lot. The experience on the Roku 3 is so much better that it will be tough to go back to using the earlier Roku if you move it to another TV in your house. If you have a Roku 2, then it will come down to how much you use it, and whether you actually have any problems with it. My Roku 2 is still running great, and I’ve never really had an issue with the speed or performance of the device. But if you find your Roku 2 to be slow, or if you use the Roku as your primary media source, then you won’t be sorry if you upgrade. If you don’t have a streaming option connected to your TV, then the Roku 3 is the clear choice for anyone that doesn’t absolutely need AirPlay or iTunes streaming. The Apple TV is a top-notch device, but the sheer volume of channels available in the Roku Channel Store just gives you so many more content options than does the Apple TV. Many iPhone and iPad users will point to the App Store as one of the biggest benefits of iOS, but it works in reverse in this regard. Until the Apple TV starts to offer options for some of the more popular streaming services like Vudu, Amazon Instant and HBO Go (I know HBO Go can be AirPlayed now, but it still requires a second device), the Roku 3 is going to have the advantage in content sources. The Roku 3 is just an awesome device. Shows start remarkably fast, which is the result of a processor upgrade, as well as the inclusion of a dual-band wireless antenna. I have my Roku 3 located far from my wireless router, near a bunch of other devices. My nearby PS3 struggles to play Amazon content in HD, while the Roku 3 easily manages HD output. My video will usually even start playing before the progress bar is filled. This is going to become my primary set-top streaming option, and that is only going to increase as I start using apps like Plex more often. The Roku 3 is finally fast enough that it can compete with and surpass the Apple TV, and the ability to connect a portable USB drive negates the need to have another computer turned on to stream local content. The price is right, and the improvements to the interface just make for a more enjoyable user experience. If you’re sold on a Roku but don’t know which one to get, our Roku 3 vs. Roku 2 XD article can help.